Meet Logan: A SkyRyder colonel in charge of a sleepy fort with little to do other than arrest the occasional scavenger. 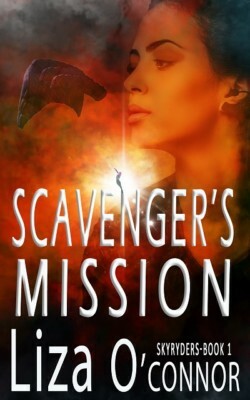 For the first time in his life, Logan’s attracted to a young woman, only she’s probably a scavenger and he’ll have to arrest her. But first he offers her a shower and food while he checks on his crew. His videographer has captured her extraordinary flight through the Cully and her flying is astounding! He forgoes arresting her and puts his career at risk by asking MAC to assess her skills and integrity as a potential SkyRyder.